While on my thru-hike, bedtime was my favorite time. 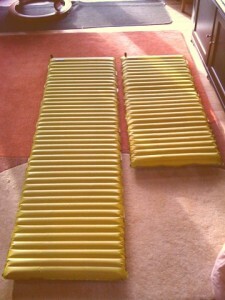 Before living on the trail, I used a simple foam sleeping pad for my weekend camping trips. 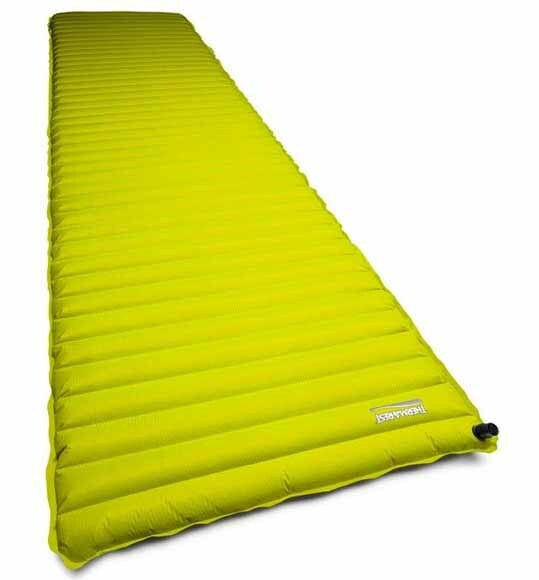 Once I decided to hike the AT, I invested in a two and a half inch blow up pad from ThermaRest, the NeoAir Trekker, and I am so glad I did. 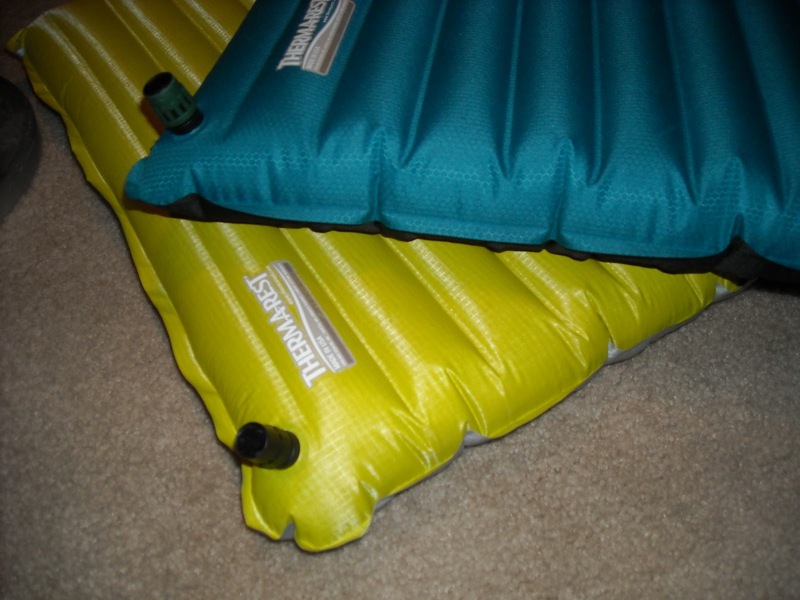 ThermaRest has a variety of NeoAir models: NeoAir, NeoAir All Season, NeoAir XTherm, NeoAir XLite, NeoAir, NeoAir Trekker, NeoAir Venture WV, NeoAir Dream, NeoAir Camper. *I am in possession of the NeoAir Trekker Large and NeoAir Small (the first model). These two models will be the focus of this review. 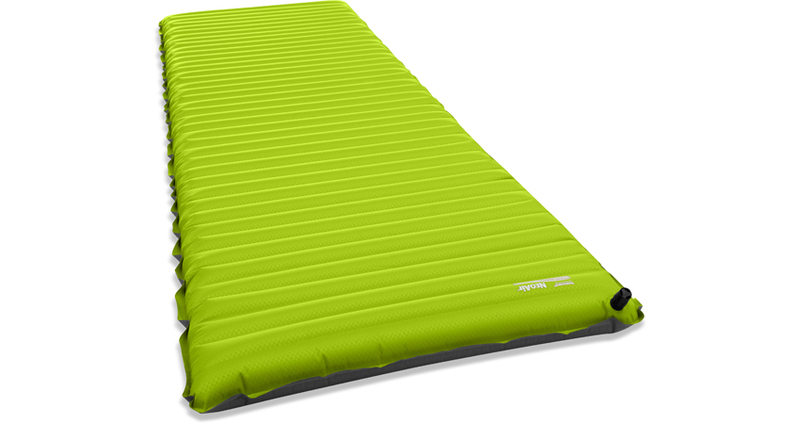 **Four season pad – I would not recommend a four season pad for the Appalachian Trail. No need for a four season tent, no need for a four season pad. This item is no longer on the Therm-a-Rest website but offered at Campmor.com and Amazon.com. The differences I could find between the NeoAir EXT and the NeoAir Trekker are the sizes offered, the material changed from nylon to polyester in the NeoAir Trekker, and the warmth technology is now patented to ThermaCaputure Radiant Heat Technology. I was impressed by how comfortable the pad was but a bit apprehensive on blowing up the pad every single night. The 2.5 inch thickness of the pad made my nights so comfortable. I could lay on my side without my pelvic or shoulder bones uncomfortably digging in the ground. Also, I really appreciated the 2.5 inches when rain would infiltrate my tent and leave a layer of water on the ground. 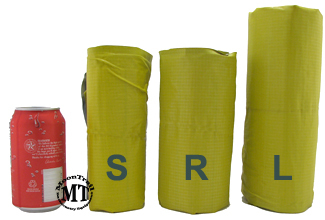 My sleeping bag was protected from the water, nice to consider if you are choosing a down bag. The NeoAir Trekker Large is great for those that love to roll in their sleep but you will pay the price in weight. I am in possession of the NeoAir Small and the NeoAir Trekker Large. I am extremely satisfied with the weight and the size once compacted of both models. I can put my pad inside my pack instead of strapped on the outside. The NeoAir Trekker Large is my 6 foot tall boyfriend’s. He didn’t mind the weight but the NeoAir Trekker Large is twice the weight and twice the packed size as the NeoAir Small. I like the materia of the NeoAir Small which was all nylon. It was easy to clean. Dirt and mess wiped off clean, leaving no stains or odor. Self-inflation by mouth can be very exhausting and annoying at the end of a strenuous day. However, for me, inflating is worth the comfort. The Trekker is advertised as twenty breaths for inflation. I guess I don’t have an average lung capacity because mine takes about 25 breaths. The larger the size results in more breaths. I did worry about punctures but I never experienced one. Punctures do happen so I recommend carrying the smallest patch or even duct tape. I went with the NeoAir Small pad. Sure, I saved on weight but I also wish I had the longer size so my feet would have had padding. 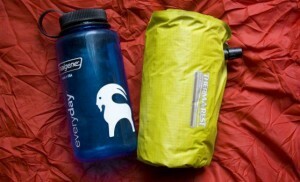 Material of NeoAir Trekker: The material of the NeoAir Trekker is polyester versus the first model which is all nylon. The top was not as easily cleaned. The fabric took time to dry when spilled with water or mess. The top was also prone to odor. I reasoned the change of material topping was to give more protection from puncture. Depending on your preference, this can be a pro or a con. Based on my own experience, I have rated the NeoAir Small/EXT & NeoAir Trekker on a 1-5 scale, 5 being the best rating. Laying down on anything after a long day on the trail can be comfortable. However, I just slept on my pad for the first time since the trail (it has been five months) for my backpacking trip in Hawaii. I forgot how incredibly comfortable I felt sleeping on it. 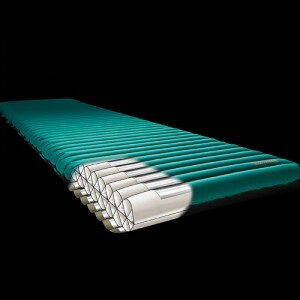 You get what you pay for with these sleeping pads. Yes, they are pricey. But, the technology does yield great night sleeps. I give the durability a 4 because of the risk of puncture. 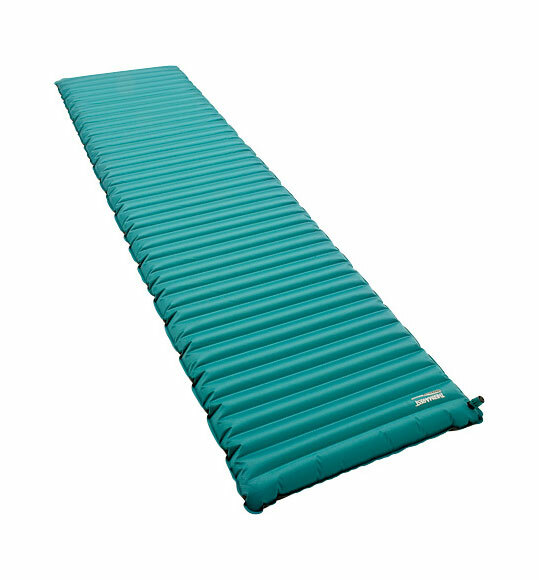 I still keep the number high because even after five months and 22 days of trail life, my sleeping pad has not deflated or lost its ability to hold air. Remember, the newer version, the NeoAir Trekker is made with polyester, providing more protection from puncture. The NeoAir comes in a variety of models. This caters to both lightweight freaks and those looking for comfort. I give the NeoAir a 4.5 on weight because the weight of the large models are more than a pound. NeoAir XLite weighs 8 oz for Small, 12 oz for Regular, 1 lb for Large. Women’s NeoAir XLite weighs 12 oz for a Regular. NeoAir XTherm weighs 11 oz for Small, 14 oz for Medium, 15 oz for Regular, and 1 lb 4 oz for Large. I would NOT recommend this model for long distance backpacking. What you attempt to cut in weight you lose in comfort. This all depends on preference, however. I knew hikers who were perfectly fine with this model of sleeping pad. Polyester is less puncture resistant than nylon! Not the other way around!